Since there are only 365 days in a year and momentous occasions happen frequently, every day seems to be an anniversary of some major life event. 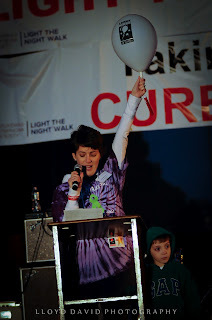 From experience, I can say with certainty that in the life of a cancer patient, there are many, many anniversaries. There are "cancerversaries" that mark the day of diagnosis, or the end of treatment (there's often a dispute about when to start counting..). But less celebrated milestones happen in between and all around those dates. 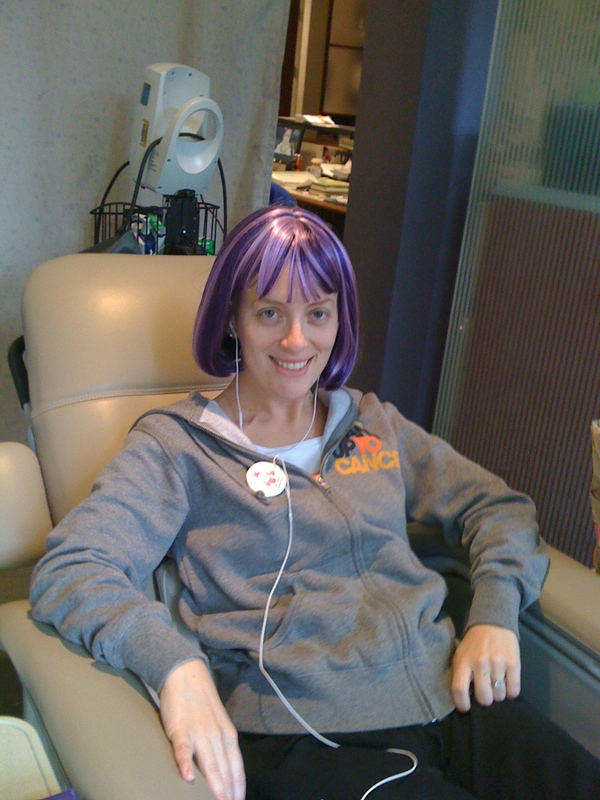 I will always remember that Wednesday, September 8, 2010 was my chemo round 5. There was a Stand Up 2 Cancer telethon on that Friday (9/10/10) that I desperately wanted to attend, but no dice. We watched it from the happy chair. I remember that September 30 was my 6th round of chemo. It was a Thursday and I wore a purple wig. When I make connections to my life two years ago, these are the days that pop up first. Then I think about the day sevens that were all the low points in each round (both in terms of my blood counts and my physical state). They were milestones, too. 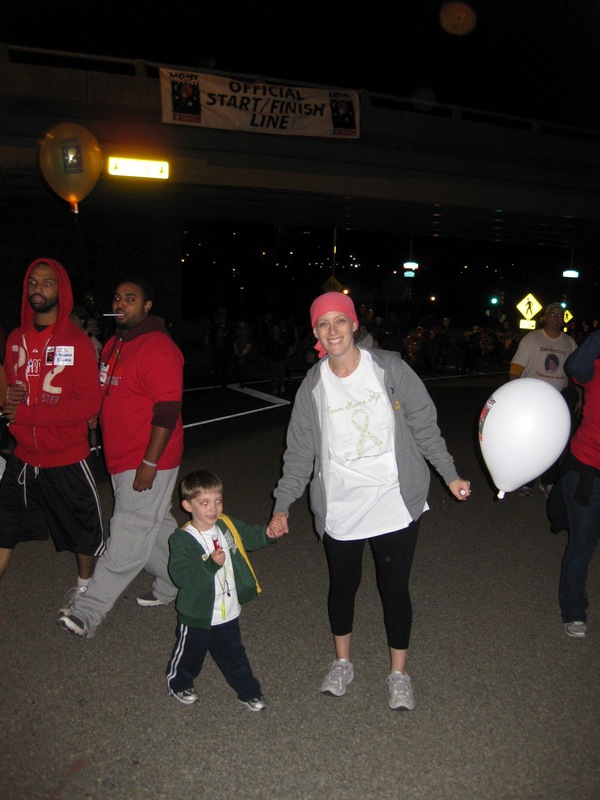 In honor and memory of all of the day sevens everywhere - all those people who dread them now, and all of those who will come to know them in the future - we are again participating in LLS's Light the Night Walk, October 27, 2012, in Philadelphia. I hope you will participate as well, by donating whatever you can to our team's fund (click on the button in the top right corner of this blog). 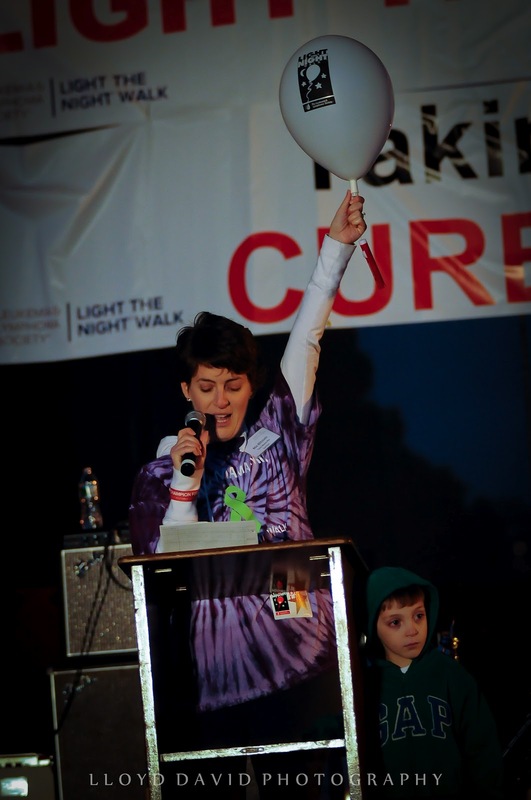 It's a memorable experience, walking with crowds who have been where you've been, supported someone like you, or remember a patient with love. 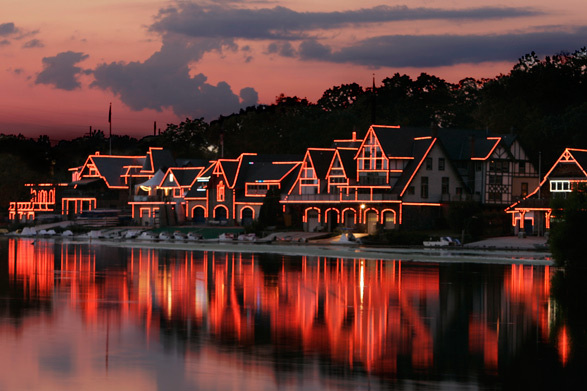 Judah always looks forward to seeing the balloons all lit up, floating down West River Drive, as we walk across from Boat House Row, all aglow special for us. If you are interested in where your money will go, please visit our team page, which will give you lots of information about how LLS allocates funds.